The English rugby press have been analysing the All Blacks game, some like me seeing reasons for optimism (see my previous article), but most are concerned that the gulf between the sides is as wide as ever. However, there doesn’t seem to be much about Ireland’s win over South Africa later the same day, a result that gives me cause for concern when I think back to a previous Springbok loss on a Northern Hemisphere tour. Back in 2010 England had lost to New Zealand but followed it up with wins over Australia (remember Chris Ashton’s length of the field try?) and Samoa. South Africa had narrow wins over Ireland (23-21) and Wales (25-29) but then Scotland provided the shock of the Autumn when they beat the Springboks 21-17 at Murrayfield. Hopes were high that England could end the Autumn International series with a win but that loss hurt the South Africans’ pride and they outmuscled England in a bruising game with a dominant performance to win 21-11. At the post-match dinner I remember the Springbok President saying that he had received some very uncomfortable emails from officials and members of the South African public which made it clear that losing to Scotland was unacceptable and that losing again was not an option. 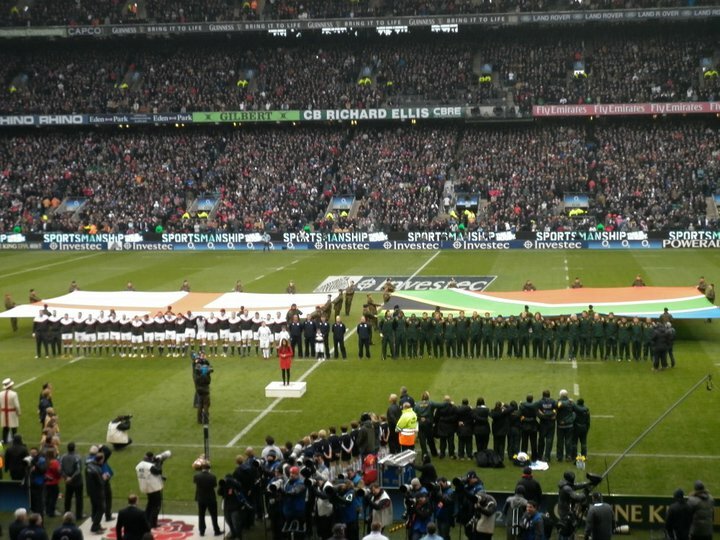 My concern is that the Springbok pride has been dented in Dublin and only a win for the world No 2 team will now do. England will have to prepare for what will be a very physical game.